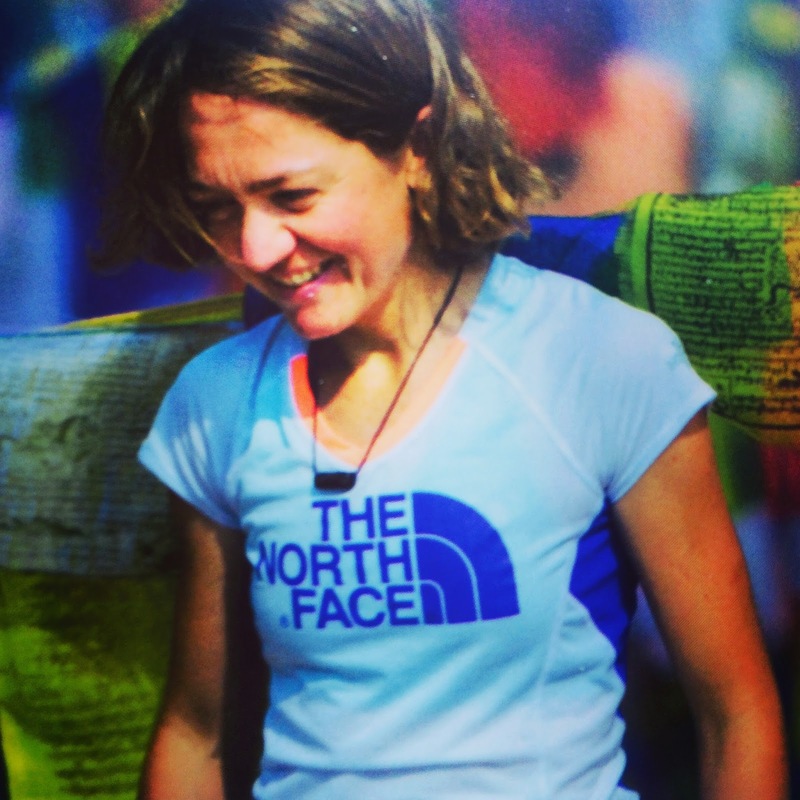 Part I tells what led her to become an ultra trail runner and to win her first UTMB in 2005. Part II expands into her explorations in Nepal while she becomes a sponsored professional who keeps on winning various competitions. Part III reflects upon the possibilities of the currently injured runner. Every five years or so there seems to appear a surprisingly great book about ultra trail running. In 2005 it was Ultramarathon Man by Dean Karnazes. Then came Born to Run by Christopher McDougall in 2009. And now we have the pleasure of reading Runner by Lizzy Hawker. I was going to write a review right away. However a fantastic spring day shouldn't be wasted indoors in front of a computer. Inspired by Lizzy Hawker's incredible story, I decided to put on my running gear and head out to explore Nuuksio National Park on my own. As stated in the Prologue, this book "is simply the telling of a story in the hope that it encourages you to go more deeply into your own story, to make your own opportunities and to have the courage to see where they might lead you." Sounds great, let's go! I remember how a friend pointed out a petite lady at the start of Zermatt Marathon 2008. "That's UTMB winner Lizzy Hawker", he said. She took off like a rocket and didn't slow down until winning the 42.2km uphill race in 3h45mins. She beat me by 2h16 mins. I couldn't understand how she did it, but I wanted to run UTMB just the same. In the book she mentions that the Buddhist mantra Om Mani Padme Hum represents the practice of generosity, ethics, patience, diligence, renunciation and wisdom. I suspect it also represents Lizzy Hawker. Somehow Runner reminds me of The Snow Leopard (1978) by Peter Matthiessen and Bone Games (1984) by Rob Schultheis. The similar search for inner peace through external exploration is present. "The entirety of what exists and doesn't exist, of what has come before and what is yet to come, is comprised of this one moment. It is all-knowing, all-encompassing, pure effort. I am that I am. It is the energy of something so much greater than myself that run through me." Back to Planet Earth. I agree with the author stating that to make UTMB, you have to encircle the whole Mont Blanc massif. The shortened courses in 2010 and 2012 felt disappointing to her, despite the fact that she won both. Her idea of a 24h sliding start window sounds feasible, as weather can change quickly. While training on the 150km footpath with 10,000 meters ascent around Monte Rosa in Switzerland and Italy, "I realised that these were the trails that I wanted to share with other runner. The idea of a new ultra marathon race was born." Ultra Tour Monte Rosa was already included in my Mountain Ultra Trail Awards 2015. Four-time Hawaii Ironman Triathlon World Champion Chrissie Wellington sums it up best on the back cover: "Lizzy reminds all of us to never stop exploring, discovering and challenging ourselves to do more than we think possible." When Lizzy Hawker writes at the end of Runner, "Everything is possible", we are likely to believe her. "I give you a canvas upon which to reflect your own story", she advices. As you can tell from my pictures on this page, my little exploration went pretty well - the book works! great review...always good to get a little motivation! hows the training going?